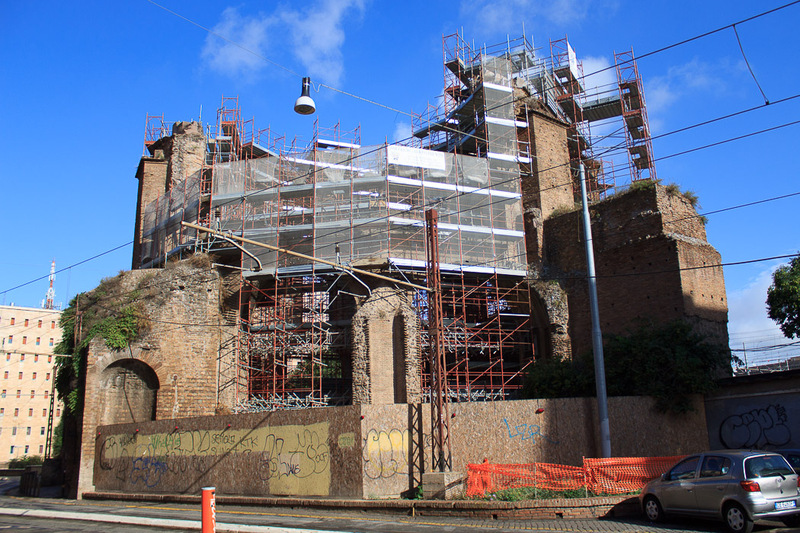 Unfortunately, the Temple of Minerva Medica was covered and being restored when I visited in October of 2013. 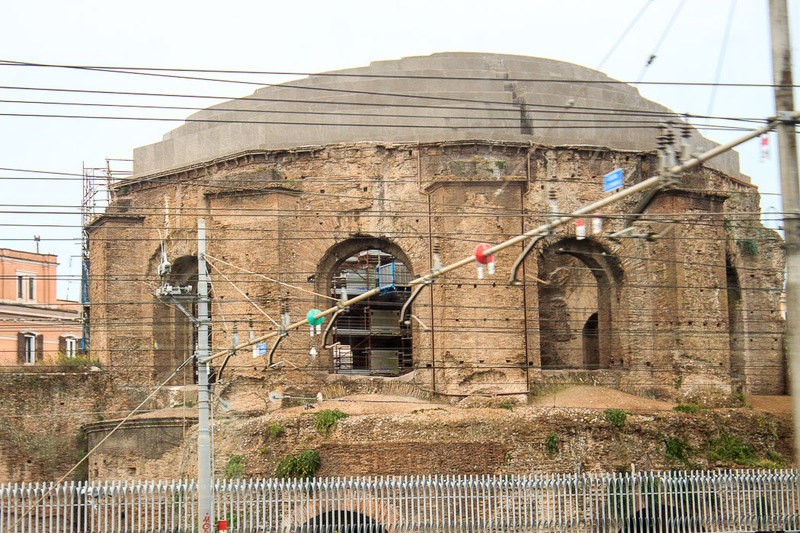 It stands between the railroad tracks leading to Termini and a busy street and can be easily seen from trains approacing and leaving Termini. The building is not actually a temple but rather a 4th century AD nymphaeum in a large villa. Other sources state it's a triclinium (dining room) in a large estate during the 3rd century AD. 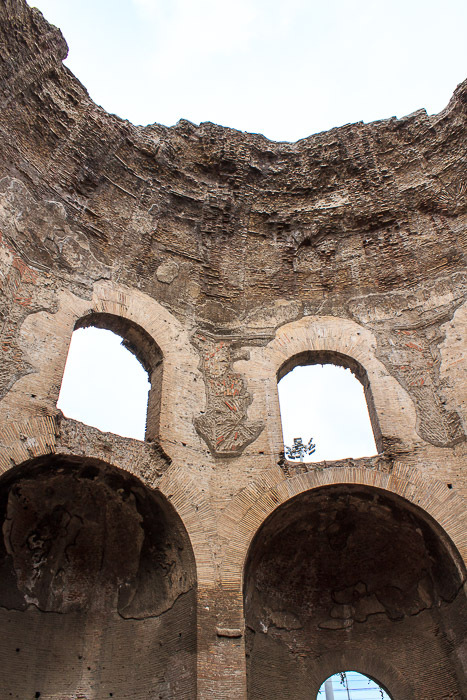 The 10-sided structure supports the remains of a concrete dome of 82 feet in diameter which collapsed in 1828. 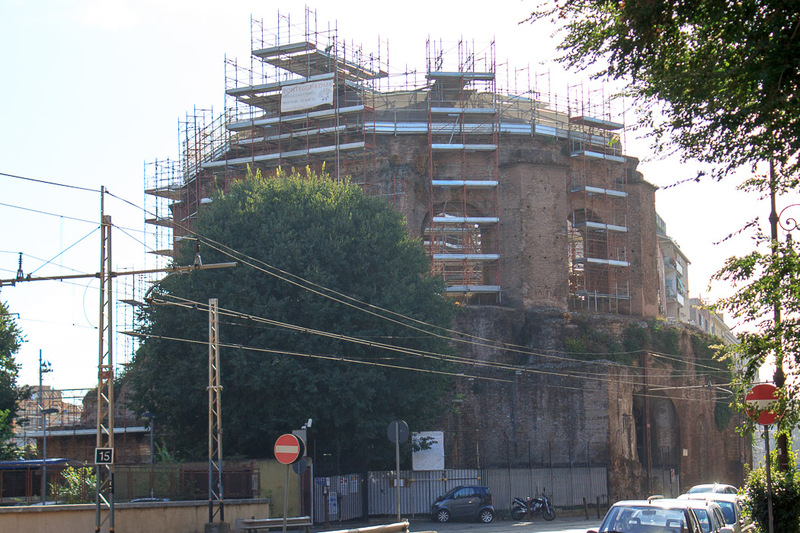 That makes it the third largest dome in Rome, after the Pantheon and the Baths of Caracalla. 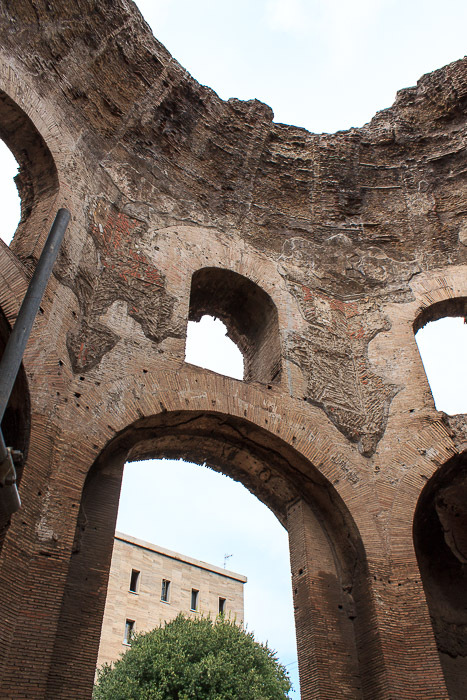 The building was originally faced with marble and intricately decorated with statues, but spoilation has erased all of this. 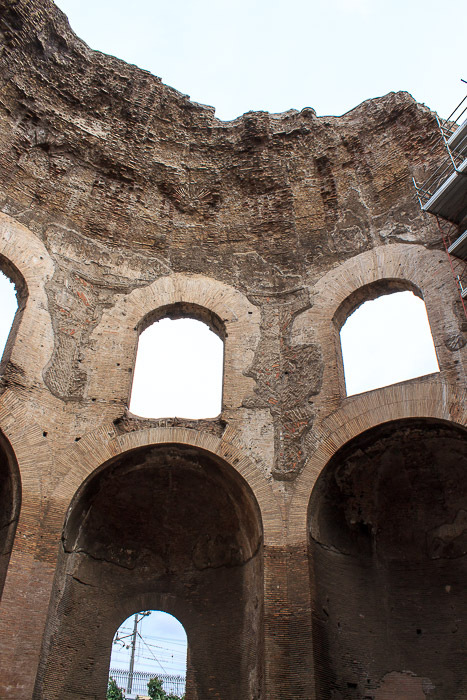 See all Temple of Minerva Medica photos. 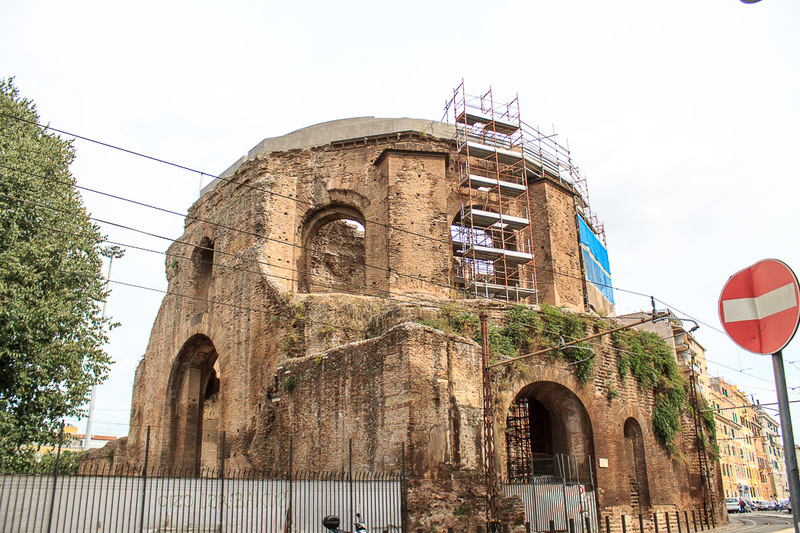 During my 2014 trip to Rome, the workers working on the restoration left a gate open and I was able to sneak inside and take the rushed first 4 photos below. More progress has been made on the outside of the building, as shown in the 5th photo below. The 6th photo below was taken through the window of my train pulling into Termini station.